Premium Lounge in Motion. All New Nissan Teana was designed to achieve the slim and streamline shape in accordance with the aerodynamic principle, to reduce air resistance while driving. We emphasize even on the under vehicle area which was designed to let the air flow rapidly and to effectively reduce air resistance. As a result, there is less disturbing noise in passenger room, and drivers can enjoy more dynamic driving and more energy saving. 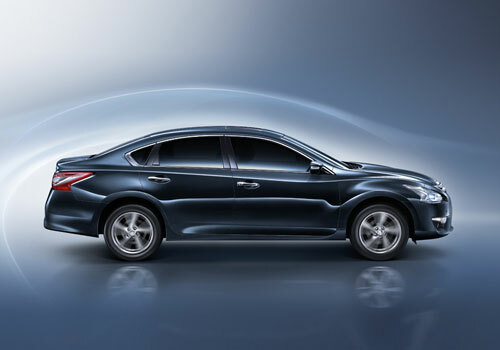 All New Nissan Teana appears with new stylish and luxury look in every detail to catches the eyes. Xenon Projector Lens Headlamps. The new appearance of Nissan Teana reflects excellent taste, with a streamline identity in its automatic adjustable xenon projector lens headlamps. LED Rear Lamps. LED rear lamps which give clear light to every route. Vehicle Dynamics Control (VDC). The stability control system for driving around the curve. 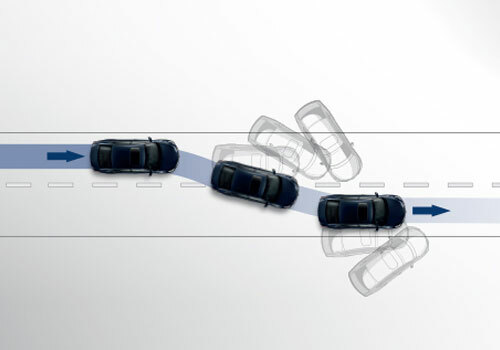 This system helps maintain stability control while the car is around the curve. It ensures confident turn and responds rapidly to all kinds of driving. The system is efficient even when the car is driven around the curve at high speed. Dual SRS Airbags, Side Airbags & Curtain Airbags. Protect you and the people you love with front and side SRS airbags, as well as curtain airbags in 6 points to absorb the impact for driver and front passenger, as well as to reduce impact from side collision. This technology was carefully designed for safety of all passengers. QR25DE Engine. Supported with the new powerful engine performance 4-cylinder, in-line, 16 valve, 172 PS, Torque 23,8 kgm, It is also comined Twin CVTC (Twin Continuously Variable-valve Timing Control) for intake and exhaust. XTRONIC CVT. 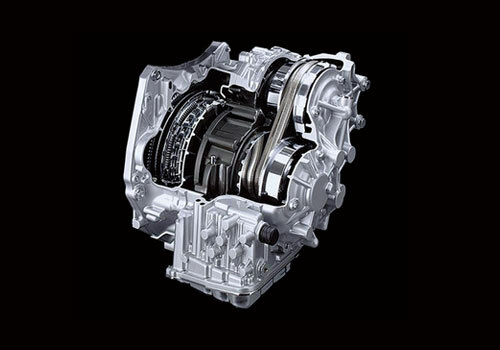 New Intelligent transmission system that able to increases acceleration rate also gives the real smooth driving sensation and improves fuel efficiency. TWIN CVTC SYSTEM. Twin CVTC (Continuously Variable-valve Timing Control) system controls the open-close timing of the velves by arranging proper cams degree in each level of engine rotation and acceleration. Traction Control System (TCS). On the slippery road that is hard to control, the system will help control the front wheel to gradually move without spinning. Therefore, you will be able to control your drive with confidence in all routes. Anti-lock Braking System (ABS) and Braking Assists (BA). 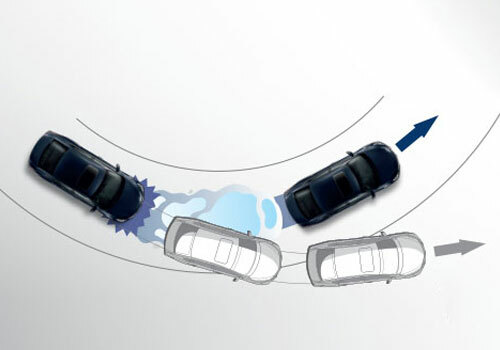 The Anti-lock Braking system gives confidence at every second in preventing slippery in immediate braking. It also helps controlling the direction and avoiding obstacles during urgency. The Braking Assists system will improve the performance of wheels during emergency braking. As a result, the brake distance will be reduced by 10-15%. The Ultimate Level of Comfort. Enjoy every journey in its peaceful and relaxing grand cabin. Exclusive Feeling in Your Private Space. Once the door of new Nissan Teana is opened, you will feel the different extraordinary, with black or beige colored passenger room elaborated with modern premium material in silver color to reflect the taste of new generation leader. This is your supreme personal space, ready to speed you up to all destinations.